The Unity World Café is a friendly, safe place, welcoming destitute asylum seekers and anyone else in need of some lunch and a chat. Run by volunteers on a shoestring budget, it offers tea and cake and free food to take home; every Tuesday at 136 Nelson Street, Tradeston, only a short walk from the city centre. 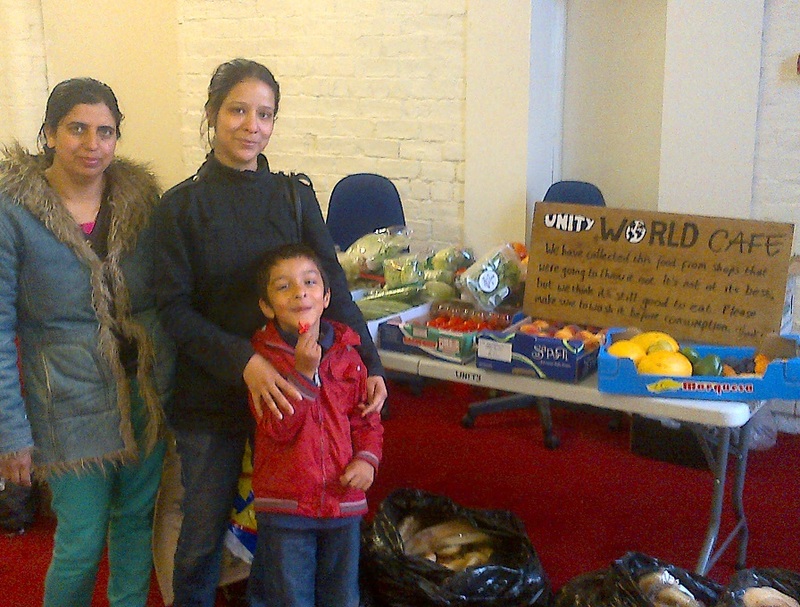 Between 10.00 am and 1pm we give out food to over 40 people. Interested in volunteering? Come along and help out. 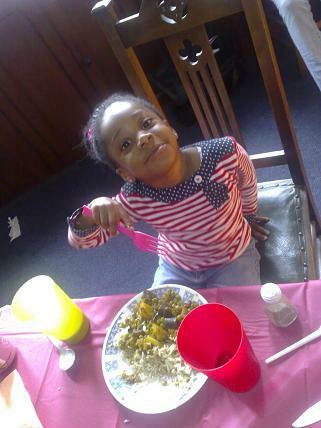 Volunteers are needed to help collect food and to set up every Tuesday. We’re a friendly bunch and won’t bite! The World Cafe is run in the MECTIS building at 136 Nelson Street, across the road from the Bonnypack cash and carry and close to West Street subway station and the pedestrian ‘squiggly’ bridge! It’s very close to the city centre. This MAP shows where the World Cafe is held in the UNITY Day Centre. Since it started in 2010, the Unity World Cafe has expanded and now collects food six days a week from shops that were going to throw it out. We distribute this food to people in need either through our own food-bank on Tuesdays or through other food-banks across the city. In this way we believe we give out food that was otherwise going to end up in land-fill to over 150 people every week. 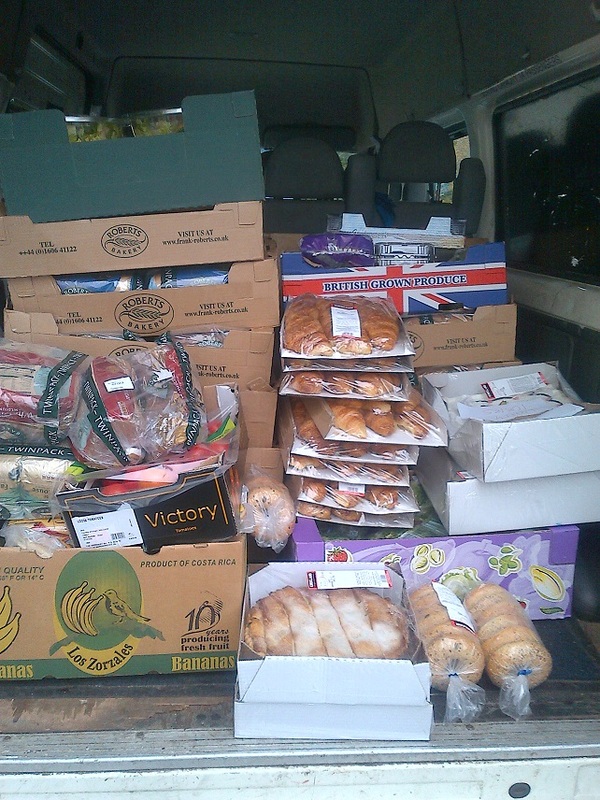 Currently we collect food from Giffnock Wholefoods, Newlands Family Bakery, COSTCO and Sainsbury’s. 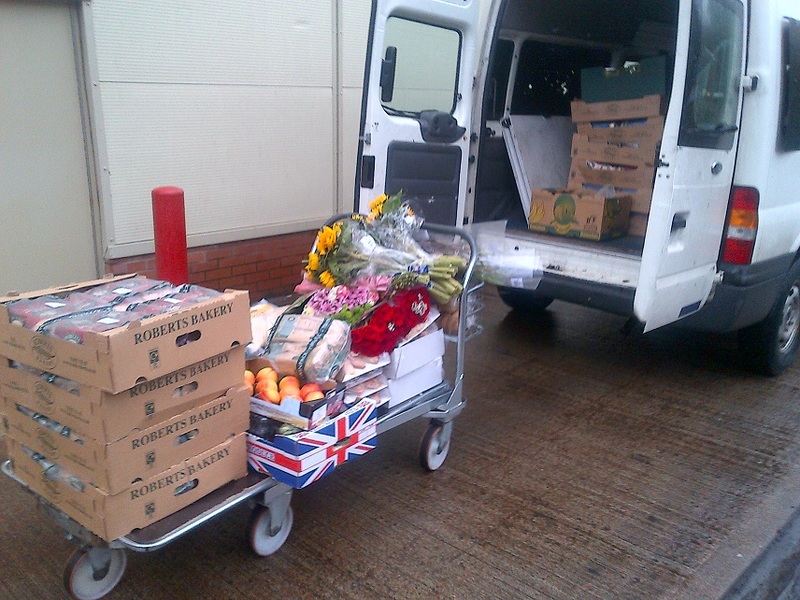 We also collect fruit and veg form Blochairn fruit and veg market. If you would like to donate food we are looking for food that can be used to make good and filling meals – please note for health and safety reasons we cannot accept any uncooked meat. We are always looking for donations of tinned food and fresh fruit and veg that people can take away for the rest of the week. Please donate sealed food that people can take away with them. Food donations can be dropped off for the Café before 5pm on Mondays at any of our charity shops. Contact us on 0141 387 0978 for more information. 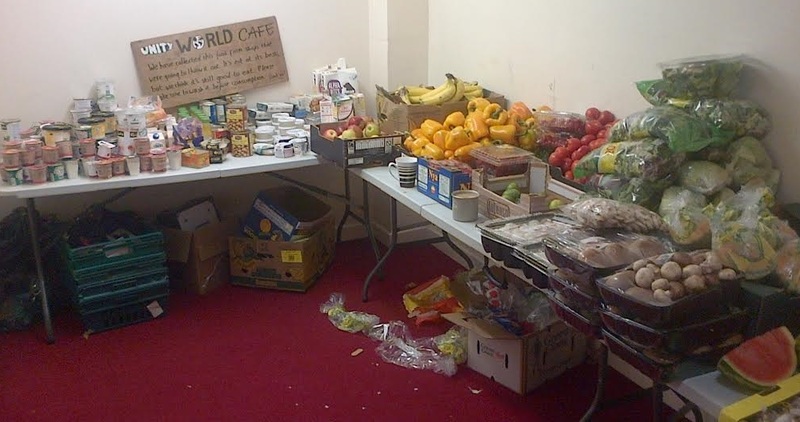 The UNITY World Café is part of Glasgow Destitution Network’s food distribution programme involving charities, churches and NGOs across the city. For more information see the Glasgow Destitution Network’s website here. Or visit this Google map here showing the location of some of the other food distribution points.